We would like to thank everyone who participated in our very first Telegram AMA last week. Interesting questions were asked and we even received good ideas to improve Origami, so thanks a lot ! We are doing great, thank you ! 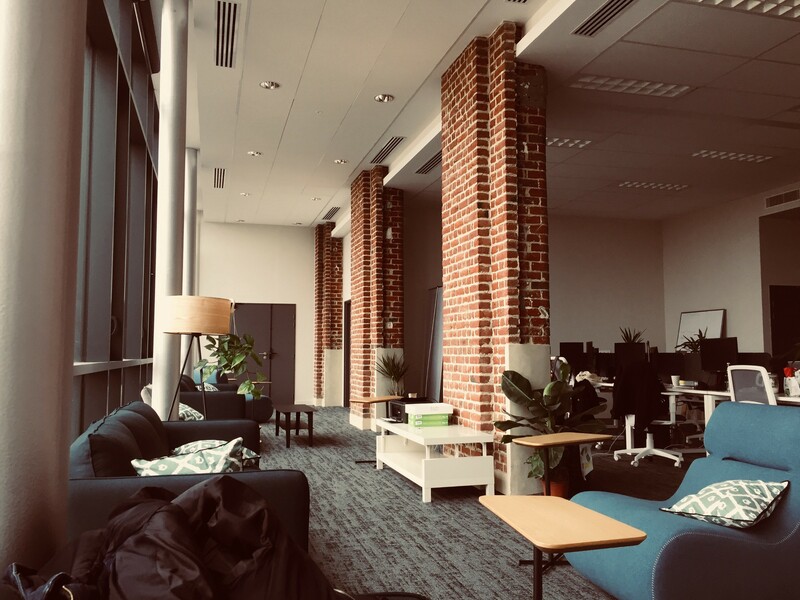 As you may know we have a new office in an incredible old and renovated building, it’s amazing to work in such a nice place so the team is very motivated right now! You are welcome. We will see do do that again. Thanks a lot for your support, we are willing to follow your advices so we will launch new AMAs every 2 months on various topics. Then, we will see if we can do it more often and we hope that it will bring a new energy on this channel! We are working on a new roadmap for Review and Payment. The team is quite focused on Origami Marketplace, right know. We will share the product roadmap of Origami Marketplace in a future bi-monthly update. The Review part is well advanced in development and we are in the process of integrating it into Origami Marketplace. The payment and review modules are part of a global solution and are an integral part of the marketplace roadmap. At this time we are focused on Origami Marketplace and on our current and future customers. Origami Review and Payment are still on development but most of our ressources are focused on the « marketplace » component, which is the one who brings money to our company. As soon as the number of customers wanting to use Origami Review and payment will be enough to be economically viable, we will add these modules to our interested customers. At this time we cannot focus on something which is not yet economically viable. A company needs money to run, that’s why we are focusing on Origami Marketplace. But the more customers we have for Marketplace, the faster the adoption will be when Payment and Review will be live! « Tell us about coin ORI, what plans in the future » ? ORI is the main — and central — feature of Review and Payment. All the details are on the website. The good thing is that the interest about the blockchain and its benefits for marketplaces are growing in our customers’ minds. Sure it is. And during our workshop we had some questions about the future of blockchain in the marketplace industry. We looked at UTrust a while back. The main challenge in marketplaces is the breakdown of payments at the level of the different sellers. This would mean adding a second layer above their solution. Thanks for giving us specific solutions that could improve Origami, we are always seeking new opportunities to develop our business. Thanks for all the support and interest in Origami. We have enjoyed answering your questions and receiving your opinions and advices. We hope many will show interest on our AMA #2 dedicated on a specific topic we will communicate to you next month. We are very pleased to see that AMA is not only answering questions but also receiving encouragement and new ideas ! Feel free to reach out the team via twitter or email at contact@ori.network.